No one read My City Chickens. I have to admit, my goal in writing that blog was simply to document the process. I wasn’t expecting readers. However, I discovered that photographing chickens amused my friends and a few thousand other people in the Year of the Daily Chicken Photo. Now defunct, The Daily Chicken became a small obsession with friends who would post on my Facebook page when I was late posting a photo. Dolly, Cupcake and Blackbird still populate my backyard (and occasionally Vine) even if their cyber stardom faded. 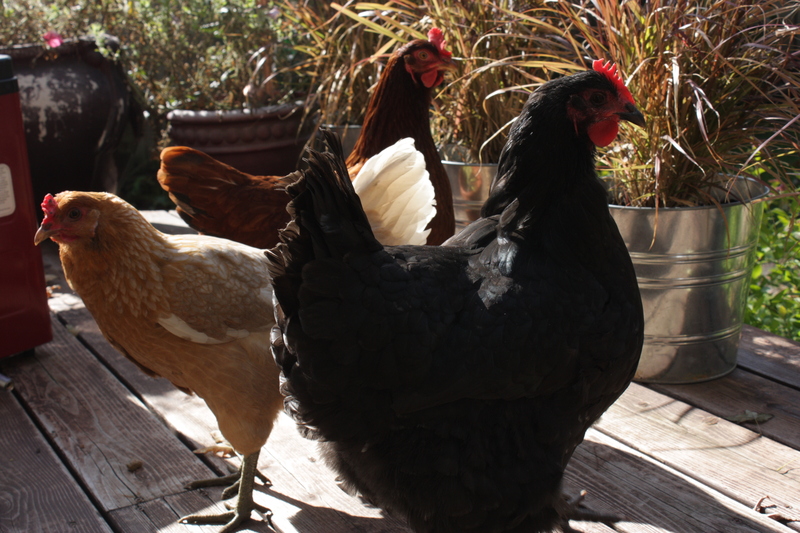 What’s the relationship between my chickens and customer centricity? Barrett Brook‘s MIMA Summit presentation, Is Anybody Out There? Building Audiences that Care and Creating Content that Lasts. The image to the left is a screenshot from his presentation. Click on it to reach the entire deck on Slideshare. What does (s)he hear…and from whom? What does (s)he see in her/his environment? What does (s)he do…in public or privately? Knowing these answers should drive your editorial, making your content something your consumers want to read, watch, or listen to. Another perspective comes from Minnesota Blogger Conference presenter and Minnesota author, Lee Odden‘s post Making the Leap: Egocentric to Empathy in Content Marketing. But SEO, Social Media and Content Marketing programs that are focused solely on the product/service Features and Benefits model are running their course. The need for this transition is especially present with content marketing focused programs. A Content Marketing: Discovery > Consumption > Sharing model means leveraging SEO, Social Media, Online PR and Email Marketing to help customers find, understand and promote company content to boost awareness, engagement and sales. But if the content topics are solely focused on what the company deems important, such as features and benefits, then there can be significant disadvantage. Studying consumer behavior means learning how people interact, buy, use, and dispose of products. On a more intimate level, it means getting into the heads of consumers.